Visit Us at ENGINEERING EXPO, Date: 31 January, 1, 2, 3 February 2014, Venue: Labhganga Convention Center, MR-10, Near Bypass, Indore 452010. Madhya Pradesh. India. 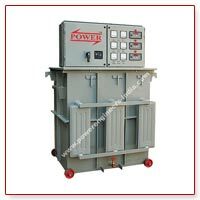 Power Engineers is known for reliability and continuous improvement in the field of rolling contact type automatic voltage controller, servo voltage controller, automatic voltage stabilizer, chemical process rectifiers, electroplating power rectifiers and special purpose transformers. The systems are designed and supervised by a team of qualified engineers having more than 35 years of experience to achieve best possible quality and total customer's satisfaction. Inspire of best efforts, no state electricity board can ensure constant voltage to the customer because of long and inadequate distribution lines and irregular load pattern on distribution transformers. Generally Voltage is low during day time and high during night hours. Moreover on holidays, peak hours, rainy days and when agricultural and industrial load is switched off, the voltage rises sharply which is more dangerous. 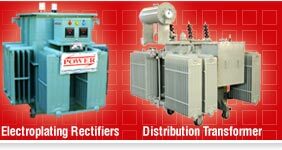 Higher current produces higher losses in electrical motors which cause premature failure of winding. These higher losses of electric motors also increase the losses of cables, switches, transformers and other associated equipment. 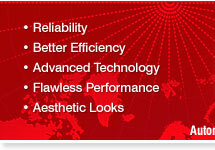 For smooth continuous operation of motors, over load relays are usually set at 20% higher setting. 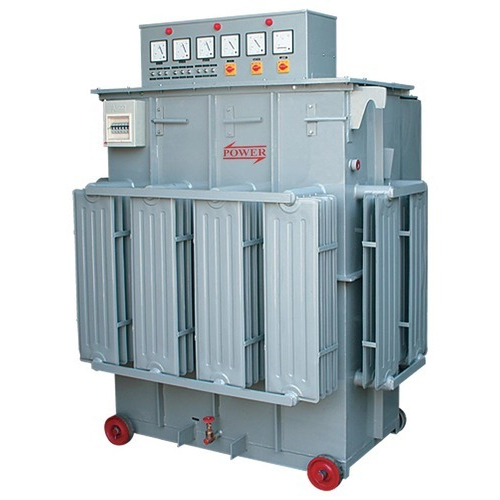 With the installation of the stabilizer and maintaining 390/400 volts, the motor will operate smoothly drawing 15 - 20% lesser current and correspondingly the relay setting can be reduced by 15 - 20%. In case single phasing occurs, the relay will trip in 40 - 50 seconds. The motors can withstand the high current for this period and will be safe. Also, the relays, contactors, switchgears, etc. incorporated with the motor will be safe. In our voltage regulator we are using heavy section of electrolytic grade rectangular copper strip instead of copper wire to minimize the losses & increase the efficiency of equipment. We are also using self lubricating carbon roller assemblies instead of ordinary carbon brushes which offer more reliability and trouble free performance of the equipment. In our Buck / Boost transformer we are using CRGO lamination to minimize iron losses. 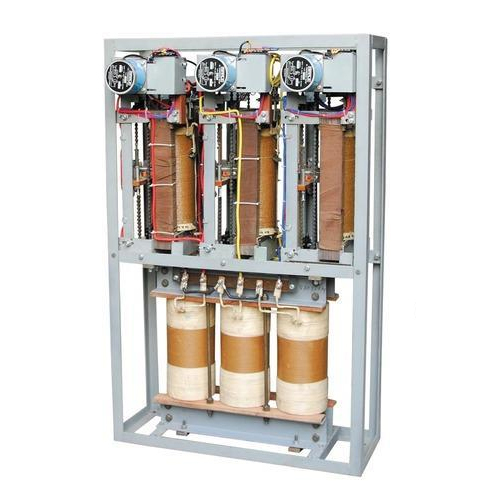 Coils of Buck / Boost transformer are wound with heavy section of multi strips electrolytic copper to minimize copper losses for getting better efficiency of the equipment. Automatic Servo Voltage Controller consists of very simple electronic control voltage circuit for monitoring and controlling voltage, repair & maintenance of which is very easy. 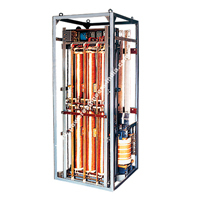 The regulator and Buck / Boost transformer are oil cooled, housed in same or separate sheet steel tanks. Radiators are provided for effective cooling. 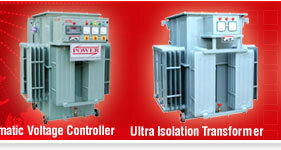 The coils of voltage regulator & Buck / Boost Transformers are vacuum impregnated and oven dried as per IS. With 5% Unbalanced Input Voltage between phase to phase - the LOAD will be unbalanced and the capacity of the motor reduces by 40%. Consumption of the three phase motor will increase by 20 - 25%. To avoid frequent tripping of the overload relays and to continue production, setting of motor relay is kept higher than actual required. The motor (particularly smaller motors upto 7.5 H.P.) 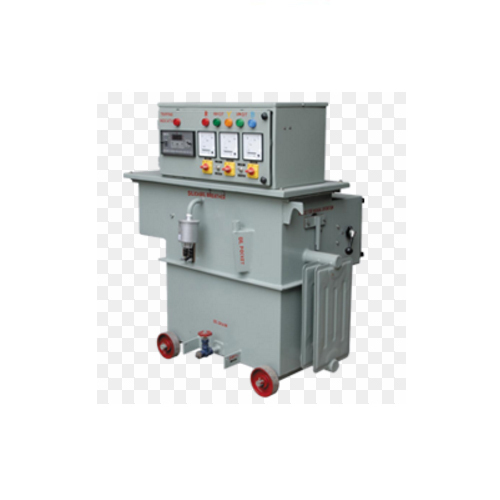 cannot withstand this high current for long time and in most cases the motor burns out and this high current flows through the relays, contactors, cables etc. resulting in failure of the same and in some of the cases may cause fire also. 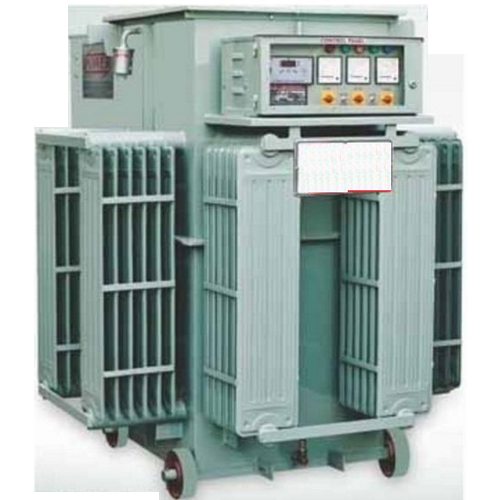 The best option for such Units having Unbalanced input voltage, is to install servo voltage stabilizers and servo voltage controller with individual phase control.